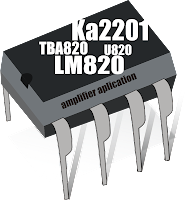 At this time amplifier circuit based on IC KA2201, TBA820M, LM820M, and U820. 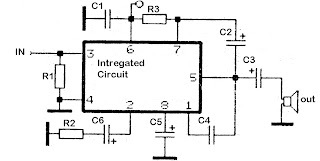 You can use all ic is the series under the scheme. This amplifier circuit has a very small output power or low at 2W. 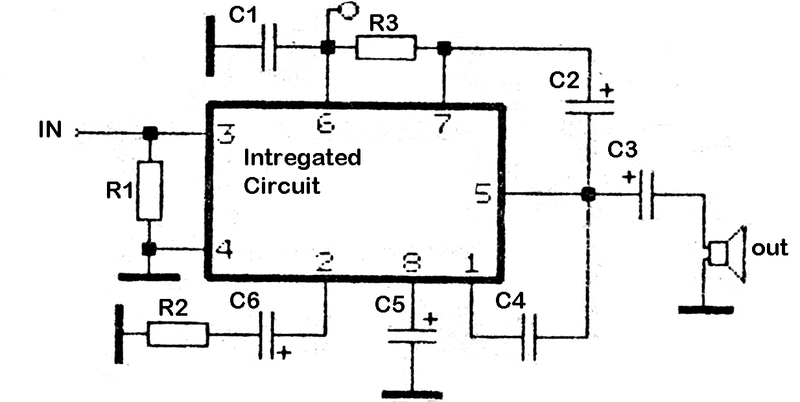 Required supply voltage from 3 volts to a maximum of 16 volts.